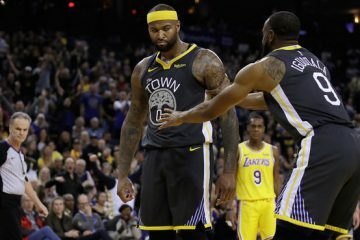 The Golden State Warriors have truly cemented themselves as the team that even casual fans around the league seem to love to hate. It’s the result of phenomenal drafting over the years and signing one of the best players on the planet to add to that already potent mix. Commissioner Adam Silver empathizes with fan frustrations regarding the relative lack of parity in the NBA but also credits the Warriors for adeptly building a winner. Silver gave an interview on ESPN Radio’s Golic and Wingo Show and discussed what the Warriors recent dominance means for the league going forward. Silver pointed out that the Warriors had the cap space to sign Kevin Durant in the first place because of the spike in the salary cap that offseason. That spike was the result of the tremendous new TV revenue that was coming into the league thanks to lucrative agreements with their TV partners. The players are the ones who make this league as entertaining as it is. Those TV deals were reflective of the great product out on the court and the demand for it. Silver also emphasized that the Warriors should be applauded as an organization for the shrewd roster transactions they’ve made over the years even beyond signing Durant. Stephen Curry was drafted by the Warriors at number 7 overall. Klay Thompson was drafted by the Warriors at number 11 overall. Draymond Green was drafted by the Warriors at number 35 overall. A lot of teams passed on these players that ultimately became superstars and key pieces on championship squads. Silver also said that he doesn’t want to work to break up teams in an unnatural way just because they’ve had recent success. He did, however, note that player movement is an issue that can be discussed when the current collective bargaining agreement expires. The current CBA runs through the 2023-24 season, but there’s an opt-out option for both sides after the 2022-23 season. Silver specifically hinted at his concerns with the soft cap the NBA has that allows teams to go over the salary cap to retain players. A move towards a hard cap would possibly trigger more player movement, though, since teams would have a harder time re-signing their free agents if they were already close to the cap. 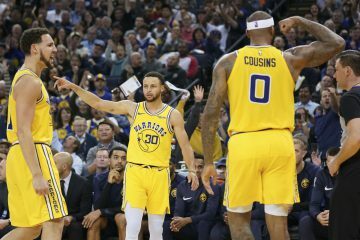 If a harder cap is instituted to prevent what teams like the Warriors are doing, going over the cap to keep core pieces on the payroll, it is going to end up negatively affecting teams that are trying to catch up to the Warriors. It’s going to be harder for all teams to retain their players, and that is going to increase player movement, which is seemingly counterintuitive to the problems Silver is trying to address. It’d essentially be hurting all franchises just to make the Warriors weaker, which doesn’t really solve the problems Silver is alluding to. Also, the player’s union would have to agree to move away from a soft cap, and this isn’t likely since a soft cap means teams are not as hamstrung to the amount of money they can hand out to players. There would have to be major concessions given to them by owners to agree to abandon the soft cap, such as a hard cap that is significantly higher than the soft cap right now. Silver also points out that it’s not just fans that are upset with the state of the league, but basically every team besides the Warriors and Cleveland Cavaliers. The obvious suggestion to those 28 teams is to do their jobs better. It’s likely that every single one of those teams passed on drafting at least one of the Curry, Thompson, and Green trio. To penalize the Warriors for simply doing their job of building a winning team better than their competitors seems really antithetical to the fundamental idea of sports and competition. The Warriors started out with the same payroll resources as all the other teams. They just built a superior roster thanks to their wise decision making. The NBA is a level playing field. This isn’t like MLB where each team has a different payroll based on the revenue they generate. 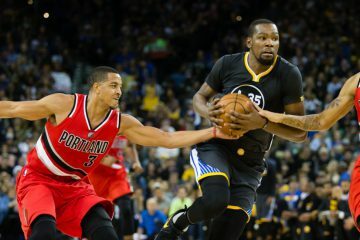 The Warriors have the same salary limitations placed on them that all the other teams in the league have placed on them. The difference is in the types of contracts they’ve handed out and the players they’ve given those contracts out to. Silver importantly brings up that the league has had a long history of dynasties and there has been a prolonging debate over whether that type of dominance is good for the league. Dynasties are great for the league. Fans either tune in to root for the dominant team to continue winning or they tune in to root with all their might that they get knocked off their pedestal. Silver acknowledges that the key difference in the discussion about the Warriors is that an already dominant team had never been able to acquire one of the best players in the world via free agency. That’s what makes fans angry. Each season brings with it a level of unpredictability. Injuries and other unforeseen circumstances can negatively impact any team. Significant regulatory maneuvering by Silver and the owners to impede the Warriors seems like a drastic overreach to a “problem” that will eventually diminish in a more natural way. Another striking feature of this debate is the prevalence with which the Warriors are blamed for this lack of parity. Doesn’t it make as much if not more sense to blame the other teams for allowing an organization to surpass them so demonstratively? This isn’t a case of the New York Yankees buying talent with resources that far surpass other teams in the league. The Warriors had no objectively unfair advantage over other teams. 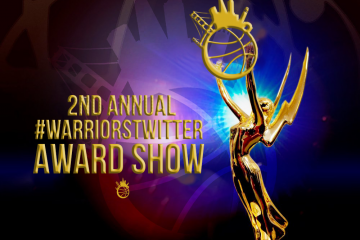 The Warriors drafted intelligently, an action that many organizations within this league never seem able to master. They also made smart trades and filled out their roster with players who were economic bargains and fit within the system they were trying to build. The season Durant was a free agent, the Warriors had the same amount of money added to their payroll as other teams. 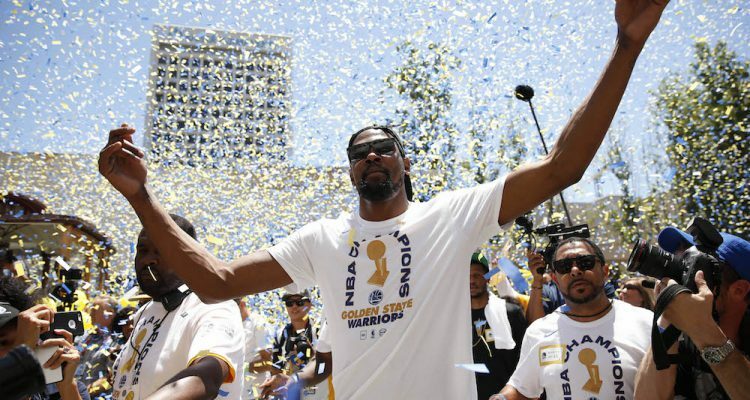 All things considered, the issue fans have isn’t with league salary cap rules, but simply that Durant defied every mechanism meant to dissuade him and chose to join an already dominant team. Now it’s on other teams to catch up to the Warriors by building talented rosters and not making stupid transactions that ultimately set them back.